Donn’s work is best known for its combination of form and imagery. His influences are varied many being derived from his experiences living and traveling in Africa. 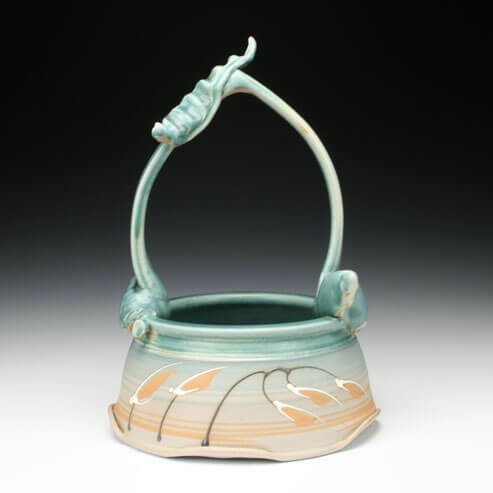 He is a former professor of art (ceramics) at IUP and has been working with clay for over 35 years. His ceramic art can be found in museums, art centers, and galleries though out the United States. For many years I’ve worked with clay, exploring its qualities and possibilities as they relate to my ideas. As my ideas evolve, so the clay adapts. There is no ultimate goal to my work but rather a continual search and in that is the joy.